Barefoot Holidays is thrilled to announce the launch of its newest signature excursion, “Essence of St. Lucia”. This is an enlightening and refreshing tour which takes you on a unique journey of exploration into how life was lived in days gone by. “Essence of St. Lucia” offers an opportunity to discover the secrets of local Coconut Oil, to see a Traditional Medicinal and Herb Garden and learn the local folklore about how our forebears used those plants and herbs. Participants can stroll through the grounds amidst tropical fruit trees and flowering plants, and view the ancient “Platene” used in the making of Cane Sugar and Cassava Farine, the “Old Styled Fowl Coop” (Chicken House), the outdoor cooking fireplace, and Clay Oven used for baking bread, which were all very important in providing food for our people. Visitors may enrich their travel experience by learning intriguing facts about our Traditional Creole Headwear and Dress whilst trying them on. On this escapade, one gets a chance to view a varied and interesting display of Historic artifacts depicting the Amerindian, European and African influences on our history. The special added value of this expedition lies in tasting what was seen- a variety of tropical fruits, island delicacies, local rums and much more. The first excursion was organized for niche markets, travel agents, and international tour operators. This excursion commences at the beginning of April 2015 and will be available every Tuesday, Thursday and Friday. 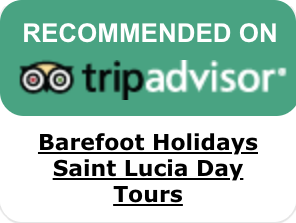 Barefoot Holidays St. Lucia is the leading independently-owned Destination Management Company on St. Lucia, serving the Leisure and MICE markets for over 25 years. 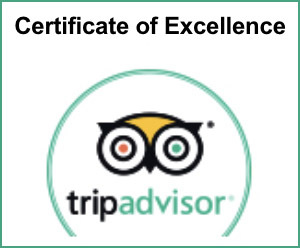 In operation since 1988, the company has been fulfilling the needs of the discerning travelers with a clear of understanding their diverse requirements and needs. 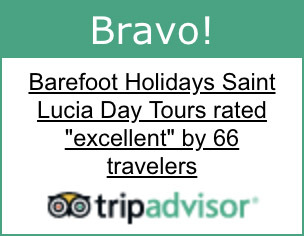 Barefoot Holidays St. Lucia has on staff 15 full time travel professionals who have merged their talents, knowledge, resources and passion for travel and tourism to ensure the success of their clients’ visit to the island. The company’s success can be attributed to hard work, innovative procedures, profound knowledge and the use of modern technology. Moreover, we represent a diverse group of Travel Agents, Tour Operators, Travel Networks and Incentive Houses from around the world who rely heavily on our services in ensuring excellent product delivery to their clients. The company is a service-oriented entity focused on offering a full range of ground handling services with personalized attention.